Over the course of the next several newsletters, we will introduce you, or in some cases, re-introduce you, to one of our apartment communities in greater depth. GGI was founded in Shreveport, LA in 1981, building residential and commercial buildings. In 1989, it expanded its operations to Las Vegas, NV. By the mid-90’s, GGI recognized the need for quality senior affordable housing, and began developing and building apartments for this segment of the population. Today, GGI has built over 1,000 units, representing our commitment to creating a better life for low-income seniors in Southern Nevada. One of the early projects we developed and built was Sunrise Senior Village, sister property to McKnight Senior Village, now undergoing a rehab effort. Developed and built in 1997/8, Sunrise is located at 571 North 30th Street, just north of downtown Las Vegas. The community includes 90 one-bedroom cottage-style, single-story apartments. Designed by G.C. Wallace, this style of residence represents the look and feel of a smaller home, which many seniors enjoy. Through the years, we have incorporated more green features, including water conserving desert landscaping. The property has a community clubhouse building used for social activities and events, health screenings, food distribution. An on-site resident manager works with our non-profit partner, Silver State Housing, to bring numerous supportive services to our residents. 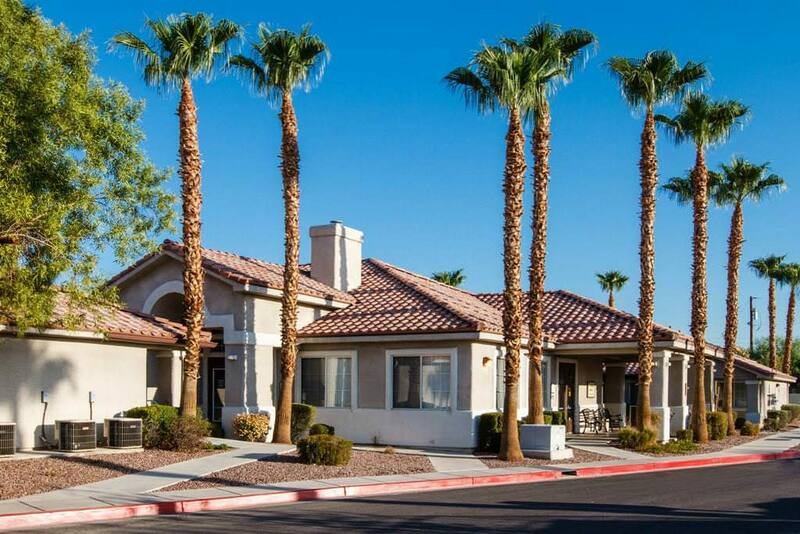 Sunrise Senior Village received an allocation of over $500,000 in tax credits by the Nevada Housing Division in 1996. Construction began on the 4.6 acre site in 1997 and the property was placed in service in November 1998. The property is in very close proximity to shopping centers that include retail, grocery shopping, pharmacy, banking, health care, restaurants, post office, public transportation and a neighborhood Starbuck’s. Within a 1/2 mile is Freedom Park, a Clark County Parks and Recreation facility. Sunrise Senior Village continues to be a successful community with stable occupancy, a peaceful and cheerful home to our senior residents. Affordable housing is not only important, but essential, in today’s economy. Were it not for the organizations that develop and build this type of housing, where would people live and find shelter who cannot otherwise afford homes, or market rate apartment dwellings? This is an especially critical issue where seniors are concerned, as the general population in the U.S. ages quickly, and many are on fixed income or disability. Developments for seniors aged 55+ have played an essential part in providing safe, quality and affordable dwellings. Successful developments offer supportive services that increase economic stability and a focus on continuing physical health. But, it is also critical to promote emotional health, and well-being, and one excellent way is through intergenerational activity. Seniors flourish with opportunities to engage with the community at large, and not only with their peers. Certainly, many seniors who live in 55+ communities live near and visit with family or friends, but many do not. Everyone, no matter their age, wants to feel included. 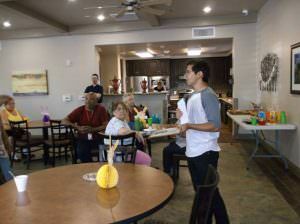 Recently, we had the opportunity to engage the volunteer services of a young man at our Santa Barbara Palms apartments. Actually, he came to us, looking for work to complete the “community service” portion of his school curriculum at Southwest Career Technical Academy. Just 17, Daniel Sanchez was ready and willing to work. He helped as a porter at the property, getting to know the residents, lending a helping hand wherever one was needed. 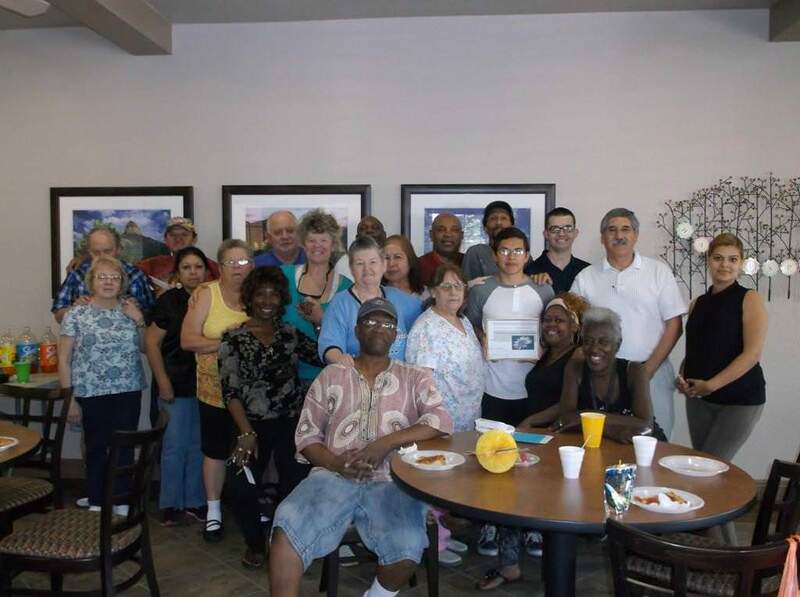 Daniel was at the property from February 11 to April 9, and on his last day, management gave him a Certificate of Appreciation, and residents joined him in a celebration and photo op. For many of the seniors, he was the age of a grandchild, and his friendly, youthful presence was enjoyed and appreciated. “This type of intergenerational experience is a benefit to all, keeping us learning and growing as well!” states Lori Muehlhausen, executive director of our non-profit sponsor, Silver State Housing. The EXPIRE Act of 2014 is a bill to amend the Internal Revenue Code of 1986 to extend certain expiring provisions, including the 9% credit rate freeze for the Low Income Housing Tax Credit Program (LIHTC). LIHTC provides a tax credit over a period of ten years after a housing facility occupied by low-income tenants is placed-in-service. In 2008, Congress adjusted the formula and set a minimum credit amount of 9%, based on the original credit rate of the program. The provision was to expire at the end of 2013, but was extended for housing credit dollars allocated before January 2014. In May, the Senate voted to advance the bill, but now it moves to the House. EXPIRE still has a long way to go, but for those of us committed to the affordable housing effort, it represents good news from the Hill! Silver State Housing (SSH), our non-profit partner, recently applied and was the successful recipient of a grant award from Toyota Financial Savings Bank’s affiliate, Toyota Philanthropy. The award was approved by the bank’s charitable contributions committee. As an extremely successful organization, Toyota adheres to the principles of respect for people and continuous improvement. To that end, the company has expanded their business empire to include helping the daily lives of communities in need. The award supports Silver State Housing’s Affordable Transportation Program, that offers assistance for low-income seniors who have no means of transportation, vehicle or paratransit option. With each year of applying, Silver State Housing has been awarded an increased amount which allows for a wider range of services. On the calendar for Spring, a March Popcorn/Movie night, as well as a Puzzle Party and Board Games Tuesday Social. Food deliveries continue every Friday, and a St. Patrick’s Day pot luck luncheon was held. Residents loved the Valentine’s Day Potluck, everyone bringing their favorite specialties to share. The Words on Wheels is on the calendar, a wonderful program offered though the Clark County Public Library, featuring the delivery of books, periodicals, DVD’s, and audio CD’s to the property. 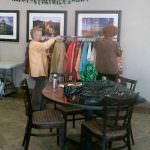 Also, McKnight offers Department Store on Wheels, a mobile store that features new discounted clothing and accessories for sale, delivered to your door. Residents are enjoying line dancing every Thursday evening from 7-9pm, a fun social and fitness opportunity. Also, on the calendar is a men’s fitness class every Monday, Wednesday and Friday nights, and for the ladies, the Red Hat Club meets every Saturday afternoon. As well as monthly health screenings, Sonoma is offering twice-monthly haircuts, and visits from a beautician, helping residents look and feel their best. Also twice-weekly, Bid Whiz, a form of whist card game is offered in the evening for those who wish to participate. And for the good of the soul, a weekly faith group meets on Tuesday mornings. With Spring’s arrival, Silver State Housing coordinated a St. Patrick’s Day potluck luncheon, enjoyed by all in attendance. 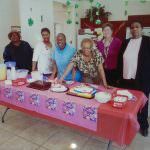 March Babies was celebrated mid-month with cake for all residents born in March. This is fast becoming a tradition each month, and a chance to meet new neighbors and mingle with old friends. Of course, weekly food deliveries continue, as well as the Silver Star Bus for outings and appointments. Pokeno is on the calendar twice monthly, and residents are enjoying the Card Players once a month. Free cell phones have been distributed to qualifying residents at all the properties, as well as SNAP benefits. SNAP is the Supplemental Nutrition Assistance Program administered through the State that increases food purchasing power for those in need. Also, all the properties continue to have their resident meetings each month, an essential way to be proactive where problems are concerned, and where residents help to shape their community. We encourage their participation in making the properties their home!